Record car sales in Indonesia helped fuel 50 percent growth in Shariah-compliant banking assets last year and Islamic lenders are setting up booths at automobile shows to further develop the market. Bank Muamalat Indonesia, the country’s oldest Shariah-compliant lender, said consumer loans jumped 40 percent in 2010 after taking part in exhibitions last year. BCA Syariah, the Islamic unit of Indonesia’s biggest financial services company by market value, is offering a rate of 11 percent on a five-year car loan. Bank Syariah Mandiri is also attending the shows. Tapping Indonesia’s burgeoning consumer loan demand will help the country’s Islamic finance industry catch up to neighboring Malaysia, the world’s largest sukuk issuer. 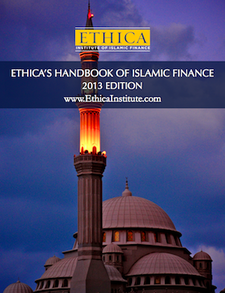 Shariah banking assets in Indonesia make up 3.2 percent of the total, compared with about 20 percent in Malaysia. “The retail market is where banks are focusing as the margins are good and it is profitable,” Adrian Gunadi, the head of retail banking at Bank Muamalat in Jakarta, said on Saturday. Islamic banking assets in Indonesia, Southeast Asia’s biggest economy, grew to Rp 100.2 trillion ($11 billion) as of Nov. 30 from Rp 67 trillion at the end of 2009, Mulya Siregar, the head of Shariah banking at Bank Indonesia, said on Thursday. The central bank aims to increase the amount to Rp 130 trillion this year, he said. Consumer financing made up 32.4 percent of the total of Rp 65.9 trillion of Shariah-compliant loans disbursed in the first 11 months of last year, according to central bank data. Automotive sales surged 57 percent last year and Indonesia may overtake Thailand as Southeast Asia’s biggest car market by 2014, said Jody Jodjana, chief executive officer at Toyota distributor Auto 2000, Indonesia’s largest car dealer. Indonesia passed a law in July 2008 to allow financial institutions to offer services that comply with Shariah principles, 25 years after Malaysia. Indonesia now has 11 Islamic banks. Sales of sukuk, which pay asset returns to comply with Islam’s ban on interest, rose 56 percent in Indonesia to Rp 26.2 trillion in 2010, according to Bloomberg. Indonesia will sell three-year Islamic bonds to individual investors next month, Rahmat Waluyanto, head of debt management at the Finance ministry, said. The government failed to raise the targeted amount in 12 consecutive local-currency sukuk auctions in 2010 as investors demanded higher yields, saying the debt was riskier because of a lack of secondary-market trading volume. Global Shariah-compliant bonds returned 12.8 percent last year, the HSBC/NASDAQ Dubai US Dollar Sukuk Index shows. Debt in emerging markets gained 12.2 percent, according to a JPMorgan Chase index. Bank Indonesia forecasts the economy will expand as much as 6.5 percent this year from an estimated 6 percent in 2010. Shariah-compliant auto financing in Indonesia is offered using a murabahah contract where the bank buys the car from the dealer and sells it at a mark-up, roughly equivalent to current interest rates, to the customer. Car financing currently makes up 35 percent of Bank Muamalat’s total consumer loans, up from only 20 percent in 2009, Gunadi said. BCA Syariah, which started operations nine months ago, set up its first motor show booth in November, said Soegiarto Pribadi, head of business. The company offers five-year car loans, compared with three-year non-Shariah-compliant loans offered by parent, Bank Central Asia.